Senior Partner New Era Veterinary Hospital, Jersey Channel Islands. Zoo. He is also interested in marine mammals, bats and tortoises to name but a few of his more unusual patients. – looking at the similarities and differences between medical and veterinary practice. and the Veterinary Society President. 51 members and their guests attended The secretary reported on the previous meeting in March, and also on the success of the Farm walk, cricket match and golf match over the summer. The summer ball was cancelled as only 31 tickets were sold. This resulted in the loss of the deposit. The secretary urged attending members to continue to encourage colleagues to attend the meetings and to make it their personal challenge to “bring a Friend” to the next meeting – particularly younger colleagues who may never have been to a meeting before! 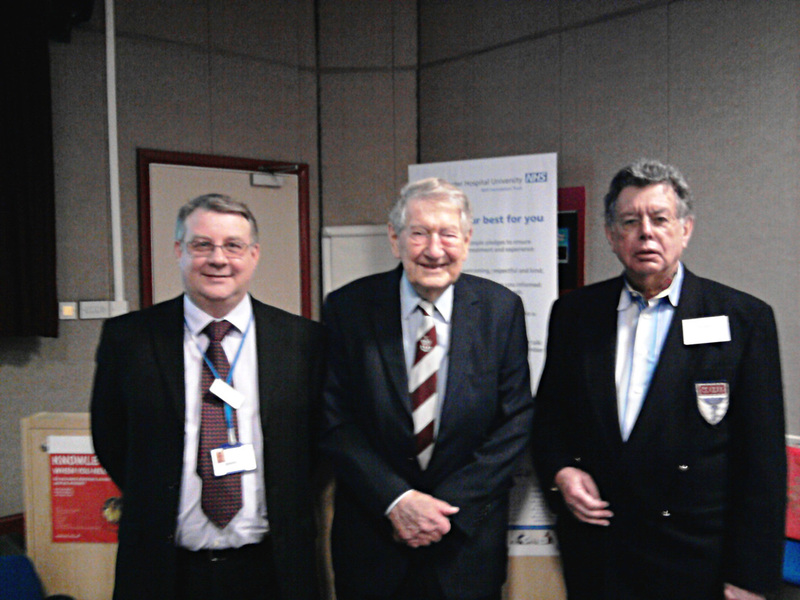 Dr Hugo Boyce – Consultant anaesthetist in Ipswich – proposed by Mr Evans- Jones, seconded by Dr Faerestrand. Dr Casale has produced a CD of Colchester’s Caring Past which was displayed. It contains images of historical medical events and places in and around Colchester and is available from Dr Casale for £10. Proceeds from the sale of the CD will go towards upkeep of the medical archive. The secretary had been approached by Channel 4 Television looking for clinicians willing to be involved in a documentary on the changing social attitudes in British Society in relation to Doctors, police, teachers etc. Contact details for the TV company are available from the secretary. There was a change to the advertised programme as the speaker lost his voice to a virus and withdrew at lunchtime on the day of the meeting. Andrew St Joseph nobly stepped into the breach and spoke about future planning for management of flood risk along the Essex coast – “Educating Jaywick”. He pointed out how difficult it is to motivate people to prepare for potential catastrophe when the incremental changes are so small as to be almost imperceptible – illustrating his points with information on sea level rise and weather dependent tidal variations. He drew a parallel between his continuity of relationships with farmers on the coast and the trust that he has built up working with them for forty years, and the relationship of clinician and patient in trying to alter adverse patient behaviours to improve health outcomes. 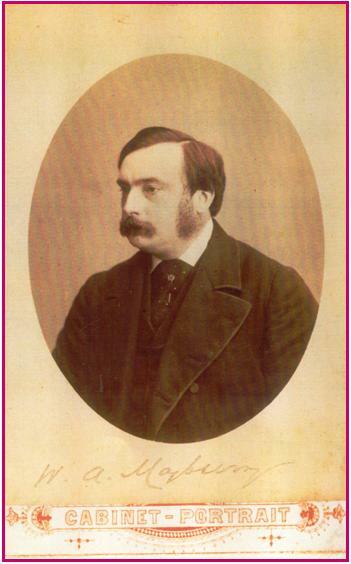 The vote of thanks was given by Dr Faerestrand who expressed her extreme gratitude and likened Andrew’s stepping into the breach to that of the small boy sticking his finger in the dyke. There was then a raffle in aid of Help for Heroes with prizes including Lay and Wheeler tokens, a Bottle of fine Malt Whiskey or a Magnum of wine , a box of jars of Tipree jam or jars of Essex Honey, a joint of beef, various shop tokens etc. The generosity of the members raised £280 . and also the Medical Museum at the Post Graduate Centre. Dr Fab Casale gave a talk on Colchester and Ether Anaesthesia. 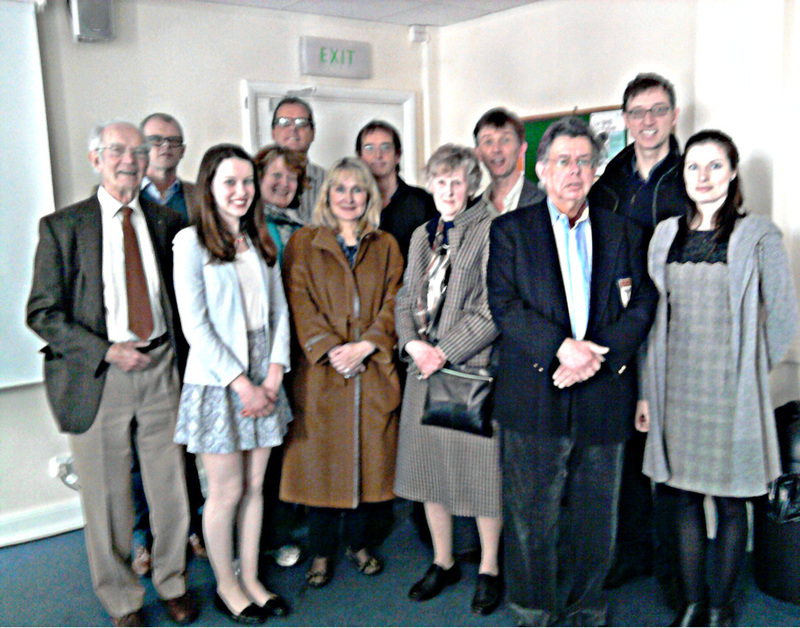 including CMS members and a group from the Colchester Antique Collectors' Club. In the 1930s businessman and Rotarian, Alec Blaxill, played a major role in organising the first local blood transfusion service. What does not decline as we get older? broadcast media regarding aspects of human memory, and has been an expert consultant for the BBC and for Reader’s Digest. 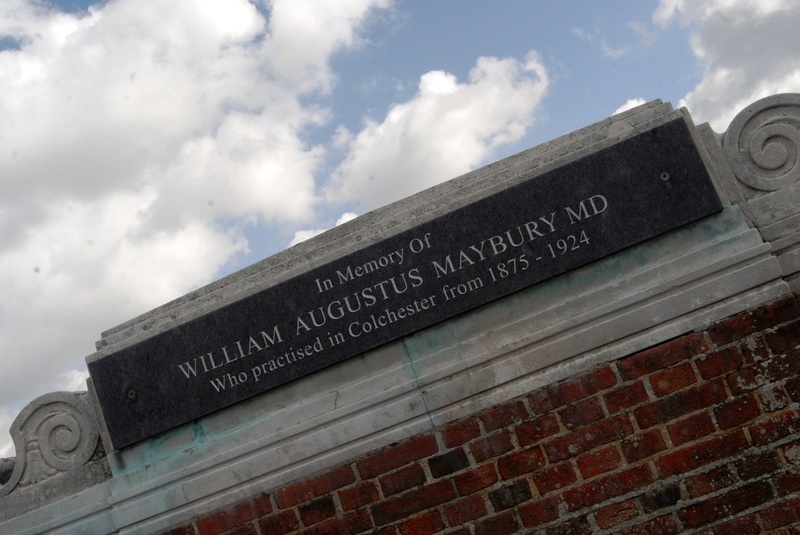 Dr William Augustus Maybury, was unveiled in Castle Park. of CMS 1910 to 1913. 87 members and their guests attended on a snowy night. The outgoing president Mr A Beckingsale thanked members, the secretary and his wife Deidre for their support during his year. He welcomed the 2013 President Dr Wendy Faerestrand and passed the ceremonial rhino to her. 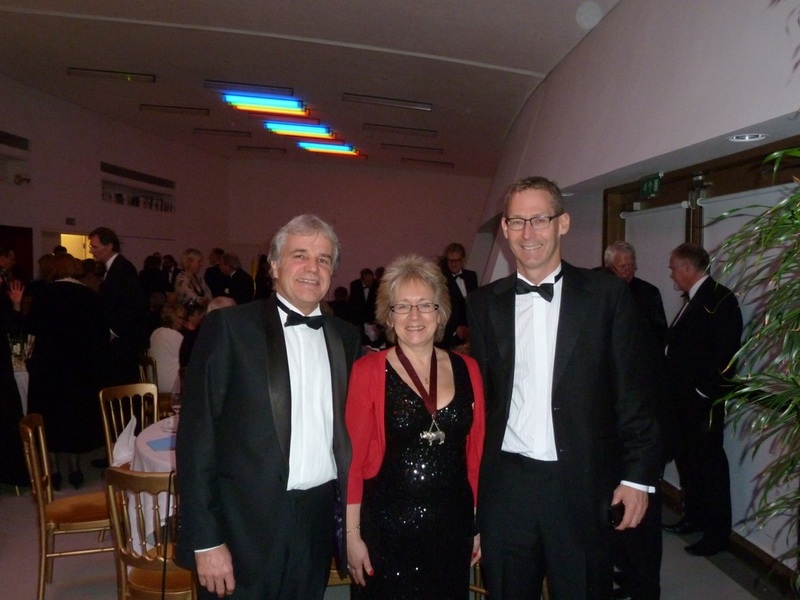 The Charity Ball in November 2012 raised £1915 to be divided between the RMBF and the RNIB. 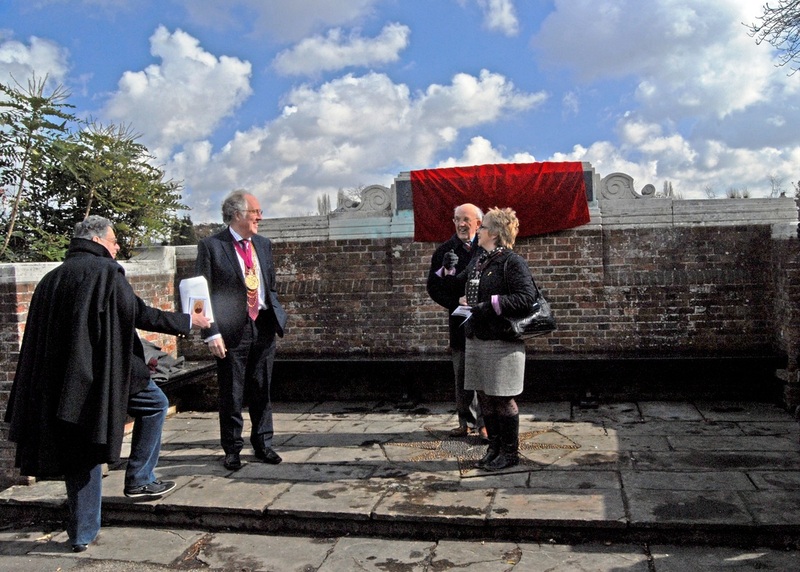 The secretary reminded members of the previous tradition of charitable support from the Society. Dr Faerestrand has chosen as her charity for 2013, Help for Heroes. This is in acknowledgement of the work done by Harvey and Wendy’s son Nick who is in the RAMC and has served in Afghanistan. The work that Help for Heroes does in reconstructing the lives of injured service men and women complements well the life saving work that Nick and his colleagues do overseas. Members are invited to consider a donation for Help for Heroes in lieu of the cost of an event that they are unable to attend. The September meeting was at Firstsite, a new venue for the society and one which will be used again in November 2013. 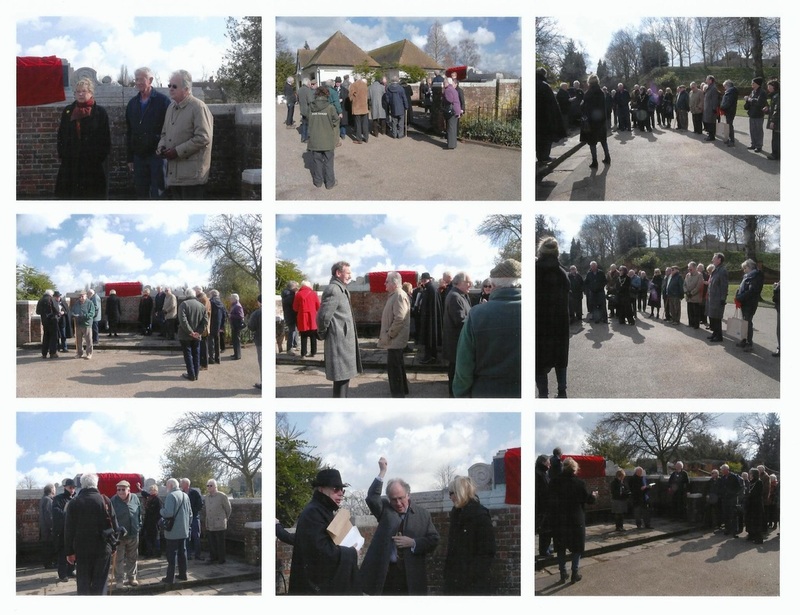 Members were encouraged to see full accounts and photographs of these meetings on the website. One new member was welcomed – Dr Marjorie Gillespie, Medical Director of Harmoni, GP Out of Hours service. Proposed by Dr St Joseph and Seconded by Dr Best. sun supporting the Copernican view, against the accepted wisdom that the Earth was the centre of the universe. For this he was tried by the Roman Inquisition and convicted as a heretic, living out his days under effectively house arrest – spared at least from execution. The vote of thanks was given by Mr Beckingsale, who concluded that in his opinion Galileo was a hero.